Voting now is underway for the 2017 class of Baseball Hall of Fame inductees, which means it’s the time of year when two things happen: 1) people who vote on HOF enshrinement write articles explaining their ballot choices as a way of reminding us that they (i.e., the writer-voters) are important, and 2) people say that some of those people should lose their voting rights for some reason or another. Maybe the voter voted for Roger Clemens. Maybe the voter didn’t vote for Roger Clemens. Maybe the voter hasn’t covered baseball in ten years and thinks Roger Clemens still is playing for the Blue Jays. Maybe the voter sold his vote to Deadspin. Who knows. What these would-be disenfranchisers tend to have in common is that they themselves are disenfranchised but want their voices heard on the ballot questions just as much as those actually allowed to vote. These “disputes” come down to policy preferences, and it’s tough imagine a voter’s decision to vote or not vote for a particular player providing a basis for stripping a voter of his or her vote (though Lou Whittaker and Alan Trammel’s exclusions from Cooperstown will never not baffle). At last, though, we are presented with an actual voter who, without question whatsoever, is deserving of banishment from the collection of people entitled to vote on admission to the Baseball Hall of Fame. If ever there were grounds upon which all agree a voter should lose voting privileges, it would be a demonstrated inability to actually vote. Bill Livingston is one of those people who falls into the first group described above, and he wrote one of those group-one articles about his ballot this year. He wanted to tell the world that he had a vote, but that he was abstaining from voting because he hasn’t decided what he thinks about steroids in baseball. Actually, more precisely, he wrote that he was abstaining because other people (the royal “baseball”) hadn’t figured out what to do about steroids in baseball. Whatever. Maybe it’s dumb or lame or a waste, or maybe you’d hope the people upon whom HOF-voter status is bestowed would undertake a little personal responsibility and make up their minds, but it ultimately is fine. He’s abstaining. So be it. The thing is, if you want to abstain from voting, what you need to do is not submit a ballot at all. That way, your ballot won’t be counted in the total pool of ballots and thus won’t change the number of votes a player needs to get to cross the 75-precent threshold [required for induction]. All Livingston has done by submitting a signed, blank ballot is to make it a little bit harder for everyone in this year’s class to get into the Hall of Fame . . . .
Mr. Livingston, I presume from his publicly described action, actually does not know how to vote, and that demonstrated ignorance constitutes unimpeachable grounds for removal of his voting privileges. It is not difficult to get an interview with Pete Rose. I’m sorry to pull back the curtain on one of sportswriting’s recent tricks, but it’s true. People assume that Rose, one of sports’ all-time controversial figures, must be a tough get, but the sheer volume of articles published in recent years based on one-on-one interviews with Mr. Hustle belie that assumption. I’m reasonably confident ALDLAND could secure a sit-down interview with Rose. He seemingly wants to talk to anybody and everybody– the more he’s in the news, the more likely a public clamor for MLB to reverse course and allow him to stand for a Hall of Fame vote– and I don’t see anything wrong with that. Think what you want about Rose, but Sparky Anderson made his peace with his former player before he died, so you probably should too. Kennedy seems to miss the point with his “Rose has been banished for the . . .damage he might have done” line, the point he himself just finished making: that Rose’s gambling damaged the game, but we simply don’t yet have the evidence to show exactly how. The same is true of the PED users, for whom evidence has been perhaps the central issue. How many fewer home runs would Barry Bonds have hit had he not used PEDs? (He did use PEDs, right?) How many fewer hits for finger-waving Rafael Palmeiro? How many fewer strikeouts for Roger Clemens? Why pretend like the damage is any more or less obvious for one or the other? 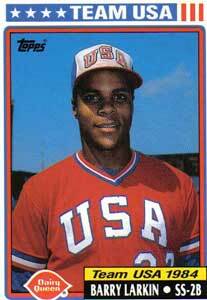 I hope baseball allows Rose back into the game, to stand for election to the Hall of Fame (a privilege Kennedy notes Bonds and Clemens and their lot enjoy). 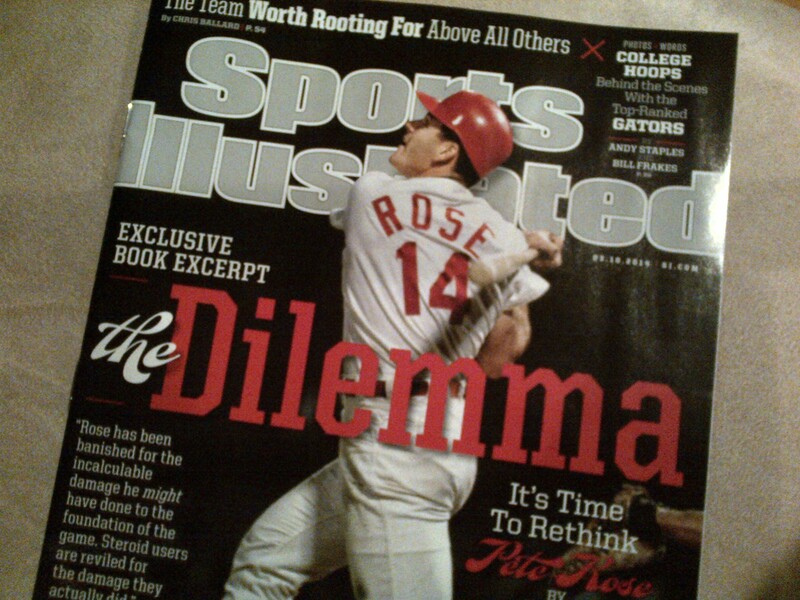 While MLB Commissioner Bud Selig has hinted at some easing of Rose’s ban, this is an all-or-nothing issue. I’m not sure what, if anything, will tip the scales in Rose’s favor, but a false dichotomy like the one Kennedy presents doesn’t help anyone’s cause on this issue.